Stock status is current as of 4/24/2019 12:47 PMET. 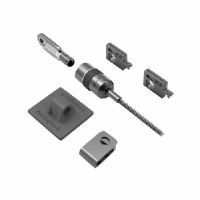 MasterKey Single Head; Protect your device. Lenovo offers the latest standard in device security � the MicroSaver 2.0 Cable Lock from Lenovo. Engineered to be the smallest, strongest lock for laptops and other devices, the MicroSaver 2.0 represents the next generation of laptop security. The MicroSaver 2.0 was developed using strict specifications, patented technologies, and rigorous testing against tough environmental conditions, and can stand the test of time in a smaller, compact size without compromise.